Funeral service for Pyper Christina-Marie Buie who passed away on March 22, 2019 in Fayetteville, North Carolina will be held on Saturday, April 6, 2019 at 2:00 p.m. at the Exciting Faith Alive, 5705 E. 32nd Avenue Tampa, Florida with Pastor Antonio Hawkins, Officiating. Interment will follow in Orange Hill Cemetery, Tampa, FL. Preceded in death by relatives, Jonathan Christ Buie, Hardy Bell Lundy, Sylvester Lundy, Essie Mae Reed, James Coleman, Jonathan Channey, Lily Lundy, Jerrel Jolly, Mary Robinson, Cynthia Sutton, Christopher Buie, Shawn Buie, Lester Buie, Ella Lundy and Sharron Buie. 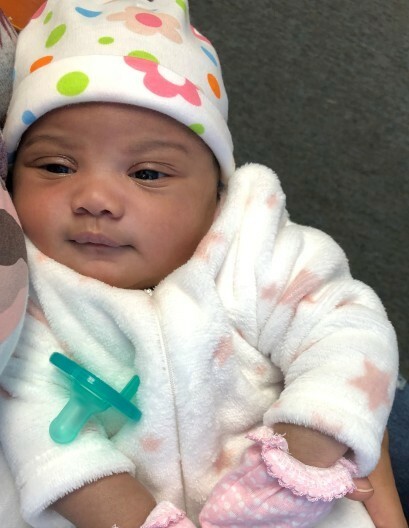 Pyper is survived by mother, Alexis Reaves; father, Jarriett Buie; sisters, Armani Hadley, Isabella Buie and Anna Buie; brother, Jarriett Buie, Jr; grandparents, Dawn Payton, Robert Reaves and Barbara Jolly Buie; aunts, Lamaria Smith, Jenna Hauser, Kallan Lewis, Shazada Keith, Melody, Sharron Buie, Hope Buie, Marian Diane Jolly, Johnnesih Buie, Ambra Buie, Lily LaBertha Buie, Queen, Eloise Buie, Marcia Buie, Peggie, Albertha; uncles, Brandon Reaves, Valdosta Lundy, Timmy Buie, Tommy, James Jolly (Melody), Wallace Buie & Mor, Kenny Buie, Carneal Buie, Sr and Flo, Kevin Buie, Jevario Buie, Harvellio Buie, David Lee Robinson, Hardy Bell Robinson, Reggie Buie, Johnny Buie, Sr., Shawn Buie, Sylvester, Demario Graham; cousins, Savannah Mathis, and Nena Mathis; a host of other cousins, uncles and aunts; aunt –in-law, Sandra Buie; godmother, Monica Davis; special family members, Robinson, Jolly, Reed, Hendrix, Lundy, William, Buie, Jackson, Perkins, U.S. Army Family, Reaves, Campbell, Harden, Down Bottom, Jefferson and Patricia Robinson. There will be a viewing on Friday, April 5, 2019 at the Wilson Funeral Home, 3000 N. 29th Street, Tampa, Florida from 5:00 – 8:00 p.m. with the family present to receive friends from 7-8 p.m.